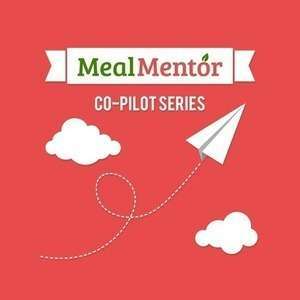 S01 Episode 21 - Benji talks about losing over 130 lbs and the importance of remembering "progress not perfection"
On this episode of the Meal Mentor Podcast, Lindsay talks with Benji about his experience losing over 130 pounds on a plant-based diet! Benji is the founder of the Food = Medicine conference, who joins us to share the importance of remembering the mantra "progress not perfection." Why a low-carb diet isn't sustainable. What are some solutions to wanting to fit in at a social event? What helps Benji stay on track? What should you do if you slip up? What fast food joint carries a compliant meal? What is the importance of setting attainable goals? Plus, more details about the Food = Medicine Conference, including how you can save $$$ on admission! Don't miss the Food = Medicine Conference! Enter code "HERBIE" for $150 off. Benji on the Forks Over Knives website. Follow us on Instagram for daily recipes and inspiration!